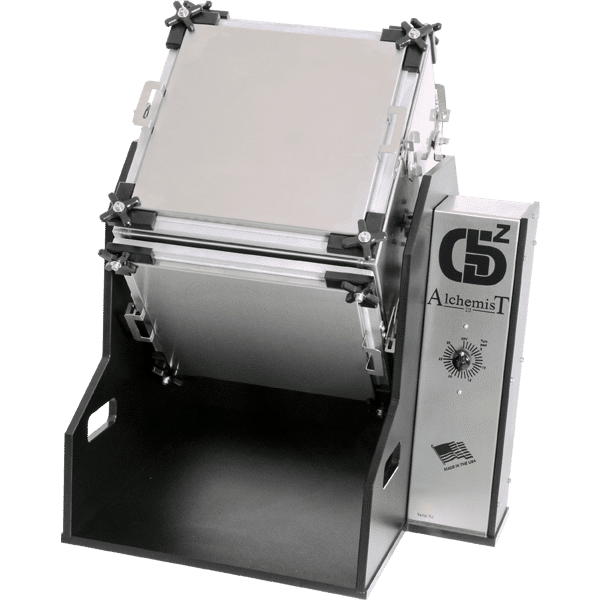 If you’re looking for a solvent-free kief extractor then check out the GreenBroz Alchemist 215 and the GreenBroz Alchemist 420 extracting machines. 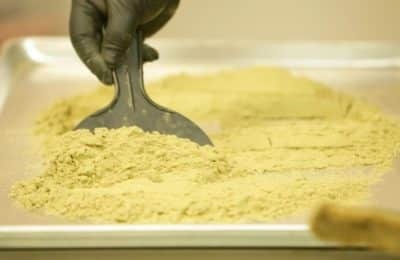 If you’re not familiar with the GreenBros Alchemist machines they are simply a way to turn your trim into a beautiful kief concentrate so you can further your profit. We have a lot of dispensaries using these machines and they couldn’t be happier due to the quality of extract. Not to mention the ease of use. PLEASE NOTE: The GreenBroz Alchemist trichome extractors were designed to be used with dry ice (and dry sifting). The dry ice should be pelleted or rice grain looking to work right. 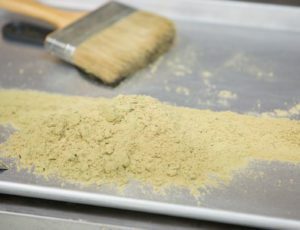 You could use the Green Broz alchemist kief extractor as a dry-sift machine but so far we haven’t seen good results. We recommend sticking to dry ice. Remember: If you have to big of dry ice pieces you will tear your micron screens. Make sure to use a more pulverized consistency to get the best extraction possible. 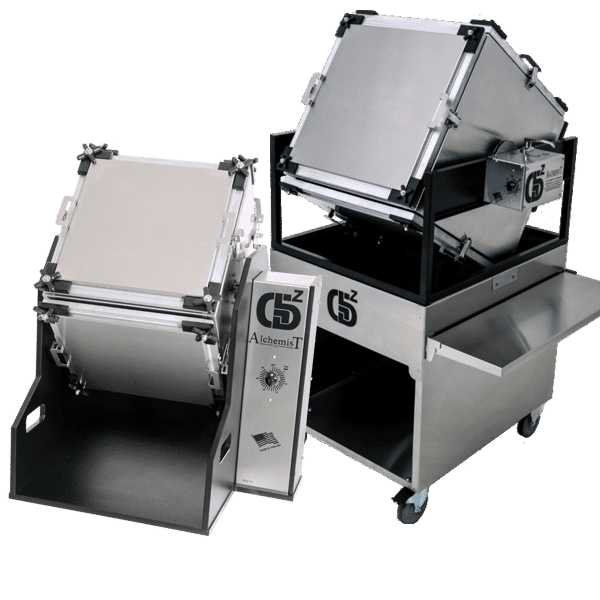 Both the GreenBroz Alchemist 215 and the GreenBroz Alchemist 420 kief extractor models have many similarities. The shell is made out of HDPE so you won’t have to worry about microbes or any bacteria for that matter. Yes, it’s made from the same material as your kitchen cutting board. All the metal is constructed of stainless steel which means it’s food grade made. The lock handle will increase the ease of use. Both come with a one year warranty that comes directly from the manufacturer. These machines are handmade in San Diego, California right here in the U.S.A. The GreenBroz Alchemist 420 commercial kief extractor weighs 80 pounds. Here at The Trimmer Store, we care about our clients and their overall bottom line. We believe nothing should be wasted, not one leaf. That’s why we carry the Alchemist extractors. Hands down they are the best extraction machines on the market. 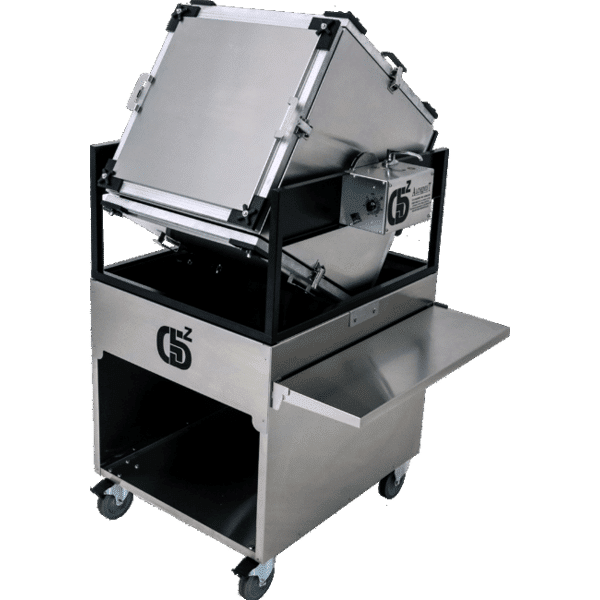 Our experts can train you how to use the kief extractor to be sure everything runs as smooth as possible and you get the best possible product.